Providing affordable and efficient service of legal process and other legal support services. Davy Keith is the manager of Quantum Process, LLC and has been in business since 1997. We are fully licensed, insured and bonded. Our number one priority is providing outstanding service and quality. Davy Keith is a past president and founding member of the Mississippi Association of Professional Process Servers (MAPPS), the only nonprofit state organization committed to best practices in the process serving industry. He has also been a member of National Association of Professional Process Servers (NAPPS) since 2000. The state of Mississippi has 82 counties covering over 47,000 square miles. Many areas of the state are rural and require extensive knowledge of the roadways and towns. Quantum Process has a team of professional process servers that reside in every county and are uncommonly familiar with their home area. This enables us to provide you with multiple attempts from a server that is close to the service area and many times familiar with the person being served. *Same Day attempt if received before 11 am and transmitted to us electronically. Nationwide Service is also offered through our extensive network of professional process servers. 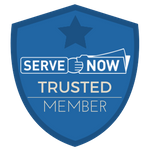 We offer the best service for any location in the United States and eliminate the guesswork of finding a trusted, professional process server. Guaranteed. You've attempted service and it's a bad address. Now what? Fortunately, Quantum Process has a research and skip tracing team of very talented individuals. We offer a locate service for a guaranteed good address which is verbally verified through a friend, neighbor, relative or another person. Resources used but are not limited to: Criminal / Civil records, voter registration, USPS records, credit headers, listed and unlisted telephone numbers, cell phone records, relatives, utilities and other private and public sources! All FCRA and GLB apply must have an authorized purpose. This is a hit or no hit fee structure. We research statewide or nationwide to locate bank accounts on an individual or business. Information returned: name and corporate address of the bank, number of accounts and balance total. Any accounts identified will be guaranteed to match the subjects SSN or FEIN regardless of their account title. In compliance with the GLB Act, no account numbers can be given. This is a hit / no hit fee structure. We offer a Nationwide search for real property, vehicles, boats, and airplanes listed in the subject's name or business name. Real estate with improved and assessed values. This information is obtained electronically through tax assessors and other sources. We offer a locate service for a current employment name and address. This is a hit / no hit fee structure. Quantum Process, LLC contracts to individuals in all 82 counties in the state of Mississippi. If you are interested in working as a process server, please complete the online form and email it to us along with a picture of your driver's license and proof of auto insurance. Prior experience serving process, work in the legal field or law enforcement is preferred but not required. Email only, please no calls. Privacy statement. All information obtained will be held in the strictest of confidence. © Copyright Quantum Process. All rights reserved.